IntelliSpense™ Brush Tips of Natural and Man-made Fibers in hard or soft styles allow you to brush on materials with an assortment of brush tips for application of liquid, grease, glue. A 304 stainless steel flow-through needle with a Luer lock base is inserted into a nickel plated ferrule that has a variety of tip styles to use in applications in a variety of materials. Excellent for use on a variety of materials, from a syringe or valve, the material used in your specific brush construction can be made specifically for the application and the size of the flow tube will supply the amount of liquid you wish to disperse through the brush. These are not an inexpensive, stamped out product, but a durable and well made tip that will give you fine results with any other brand of Luer Lock or Luer Slip Syringe. We can make one to fit your exact need - an IDS specialty. View Product, then Select the Material Type and Gauge Size from the drop down menu before adding to the shopping cart. IntelliSpense™ Brush Tips are hand crafted, made of Natural or Man-made Fibers in hard or soft styles and allow you to brush on materials with an assortment of brush tips for application of liquid, grease, glue. Pricing is for boxes of 12. Hand Made:2 week build time. Contact an IDS rep for bulk order quotes. Camel Brush Tip: Camel Hair is actually not from a camel, but a generic term used for many types of an economically priced soft hair that is commonly used for artist brushes. Used for a variety of industrial, cosmetic, art, painting, and cleaning applications. Red Sable Brush Tip: The hair of the red sable is the most valuable of all soft hairs. It is very fine, has strong, sharp points and great elasticity and carries color well. Used for a variety of industrial, cosmetic, art, painting, and cleaning applications. 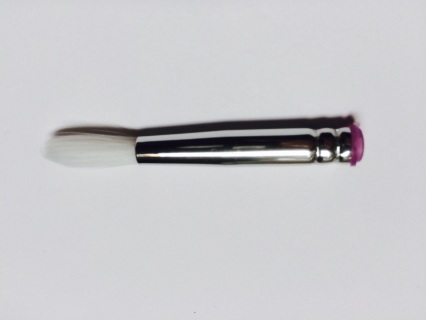 Taklon Brush Tip: A fine Nylon filament shaped like a natural hair. Extremely versatile and durable, it is most commonly used for artist and cosmetic brushes. Works well with a variety of materials, good with self-leveling fluids and washes well. ﻿Nylon Brush Tip: Resilient, durable, resistant to high heat and abrasion, impervious to most solvents, alkalis, acids and common chemicals, bacteria and mold, heat tolerant to 250º F. Less likely to have bristles pulled by faster drying material. ﻿Bristle Brush Tip: ﻿Strong and fairly stiff, natural taper, split end. This Brush Tip offers the greatest resilience with excellent durability and water resistance, heat tolerant to 370º F. Least likely to have bristles pulled by fast drying material.